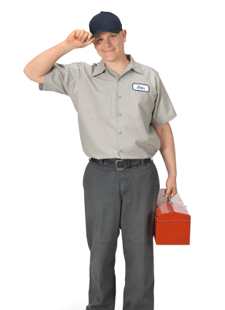 GE short for General Electric is one of the most recognized names in the business. They have been providing quality appliances to homeowners for over 100 years. This is the time to buy a GE Gas Fired Water Heater; Model GN94DNSRSA is one of their best water heaters in their inventory. 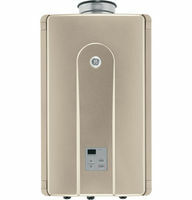 The GE Indoor Tankless Water Heater Model GN94DNSRSA has an Input Btu of 199,000 and an energy efficiency rating of 82%. The minimum operating pressure of the water heater is 20 psi with a maximum of 150 psi. The minimum gas supply pressure is 5 WC and the maximum gas supply is 10.50 WC. With normal electrical consumption the water heater will operate at 75 watts and when the unit is on standby it uses 2.8 watts. The GE Indoor Tankless Water Heater Model GN94DNSRSA has a flow rate capacity of 9.40 @ 35 degrees rising temperature and a 77 degree rising temperature with a flow of rate of 4.3. 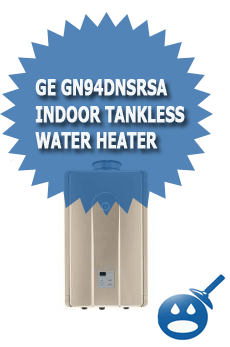 The GE Indoor Tankless Water Heater Model GN94DNSRSA is designed for Indoor applications. The control panel on this unit is an Integrated Electronic LED that offers the homeowner simple, easy to read displays that lets the homeowner know when there is a problem with the water heaters operations. 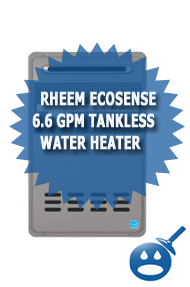 The Indoor Tankless Water Heater offers 258 gallons in the first hour delivery. We mentioned earlier that the energy efficiency rating on this unit is 82%, this calculates to an operating cost of $223 per year to run the water heater. That is a great number. Other units can run $400 to $500 a year to ruin their water heaters. You can find this information plus other vital information on the Yellow Tag that comes on all appliances. 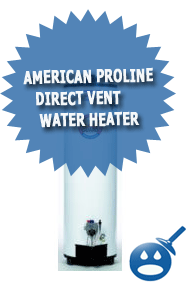 The Water Heater is a Direct Vent System, the intake and exhaust size is 5″ x 3″. The gas connection sizes have an inlet of 3/4″ Male NPT, the Hot Water Outlet is also 3/4″ Male NPT and the Water Inlet uses a 3/4″ Male NPT. The unit is compact in size and can be installed in low ceiling basements and some closets too. The measurements of this unit are 9-13/16 inches in depth, 22-7/8 inches in height and 14 inches in width. Some of the features that come with the GE Indoor Tankless Water Heater Model GN94DNSRSA is the Heat System is a Demand Activate Technology. There is an Overheat Protection System too. The ignition system is a Direct Electronic Ignition. The unit even has a temperature setting memory installed. There are no room size limitations; the water heater is designed to help the whole house with their space heating and hot water needs. The GE Indoor Tankless Water Heater Model GN94DNSRSA is a great way to help you save money on your hot water and heating needs. This water heater offers high efficiency and high performance operation. Take a look at the full GE line of water heaters if the GN94DNSRSA doesn’t fit your needs there are others that may be a better fit for you. The GE Indoor Tankless Water Heater Model GN94DNSRSA has a 5 year limited parts warranty and a limited 10-year warranty on the Heat Exchanger. The labor is covered by the warranty of 1 year for the entire unit. user can be aware of it. Thus that’s why this paragraph is amazing.